The colliery was in the Scottish Northern Area of the National Coal Board and was on the north shore of the Firth of Forth, near the village of East Wemyss, between Kirkcaldy and Leven. The Coal Board Area Officials were Mr. J.D. Skidmore, director, Mr. W. Rothwell, deputy director (operations), Mr. D.D. Shaw, chief mining engineer and Mr. J.S. Wilson, production manager. The manager of the colliery was Mr. G. Duncan, Mr. A. Nichol was the deputy manager and Mr. D. Wilson, Mr. J. Simpson, Mr. A. Robertson and Mr. J. Soutar were the undermanagers. 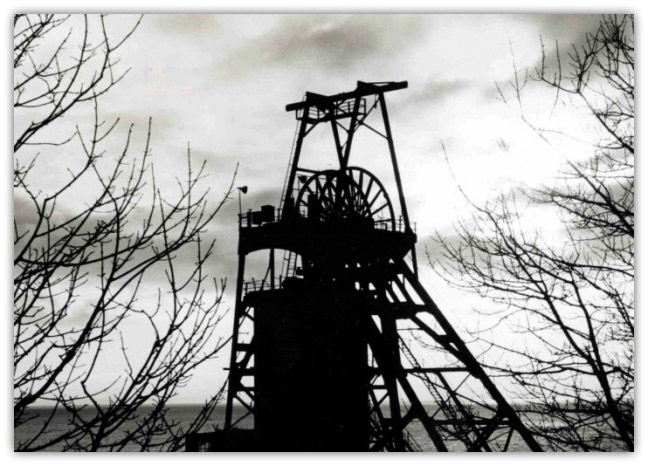 The colliery employed 2,190 men, 1,874 underground and 316 on the surface. The average weekly output was16,750 tons. In the early part of the night shift of 8th-9th September 1967, at about midnight, J. Izatt, cable belt attendant, was cleaning up the Cable Belt Road near its junction with the Loader Mine. He heard several rumbling noises but he didn’t regard them as anything unusual. At about 2.30 a.m. he travelled down the Loader Mine and went into the under-manager's office on the low side of the Loco Level. About an hour later Stirling, having returned to the under-manager's office, smelt smoke coming through the ventilation pipes from the Loco Level. When he looked up the Loader Mine he saw what he took to be burning coal falling from the roof about 20 to 25 yards away from him but there was no smoke. He rushed along the Loco Level, up Bell's Heading and back down the top end of the Loader Mine where, about 15 or 20 yards from the entrance, he met Izatt coming out of very heavy smoke. Izatt had returned to his work in the Cable Belt Dook, where he had been cleaning out at the back of the loading point when he had been suddenly enveloped in thick black smoke. The conveyors were stationary and had been for some time, although they had been running normally earlier in the shift. Stirling sent Izatt to inform the onsetter at No. 3 Shaft bottom about the fire. The onsetter, J. J. Teevan, sent for R. McIntyre, the pit bottom deputy, who saw Izatt in a state of collapse under the pit bottom clock at 3.50 a.m. Stirling went to the telephone at the bottom of Bell's Heading and tried to telephone the Dysart Dip Sections but he got no answer, he then went to the Coronation Dipping (Plan No. 1) and sent P. Ritchie, a backbrusher, to warn the men in the Dysart Dip No. 1 Section. After again trying unsuccessfully to telephone No. 2 and No. 3 Sections, he spoke to T. Lister, deputy, in charge of the surface Control Room, and told him "There is a fire at the Cable Belt Load, get everybody concerned informed." At the time, there were 311 men below ground: 45 in No. 3 Pit Bottom, 64 in the Dysart Dip Sections, 25 in the Four Feet Section and 177 in the No. 2 Pit workings; it is remarkable, having regard to the denseness of the smoke and its irritant effect, that all but nine escaped. There is no doubt that, in large measure, this was due to the comprehensive and rapid manner in which messages were transmitted round the pit. Events between 3.30 a.m. and 5.15 a.m.
A. Nicol, the deputy manager, was called out, his first reaction on receiving the call from the colliery was that "it was one of those roadway heatings". He left for the colliery straight away and on arrival found that Lister could not give him any definite information about the situation underground. He was told that some men had already been taken to hospital and, seeing three or four men who had come up the pit, learned from them of the conditions that they had seen, including the fire in the Loader Mine. He deduced that he had a belt fire on his hands. At about 4.35 a.m. he went to his office to determine a plan of action. He instructed the telephone operator to get the Rescue Station for him but the call was frustrated by a number of incoming callers including the police and the hospital. He arranged for the general manager, G. Duncan, and the under-managers, J. Simpson and D. Wilson, to be sent for. He spoke to Stirling in Bell's Heading who told him that he was putting up screens to fight the fire and expressed concern about the chances of all his men to escape. 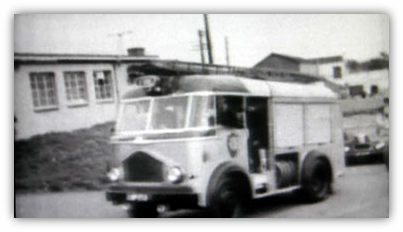 The call to the Rescue Station was logged at 5.00 a.m. After a conversation with McIntyre, who like Stirling was concerned about the difficulties of men escaping through the smoke, Nichol decided to stop the fan. The evidence about the times is conflicting but it appears likely that it was stopped at about a quarter to five and restarted about half an hour later, after Stirling had sent a message that the smoke was backing up Bell's Heading and was hampering the fire-fighting. Duncan reached the colliery at about 5.15 a.m. and took charge of operations. He was told that there were possibly 60 men in the Dysart Dip Sections. 30 in the Four Feet Section and a considerable number in the No. 2 Pit workings. He realised that the only way of improving the prospect of their safe withdrawal was by reversing the ventilation in the Loco Level. When reports were received that the Dysart Dip and the No. 2 Pit Sections were clear of men, attention was concentrated on the Four Feet and a decision was taken at about 6.00 a.m. to open the doors in No. 2 Heading to draw the smoke into the Dysart Main Return (Plan No. 2). 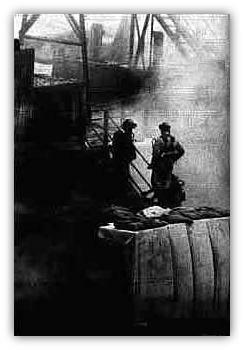 Although the doors were opened at 7.15 a.m. by a rescue brigade, the smoke continued to flow into the Sea Mine for a further two hours. At about 7.00 am. W. Rowell, the deputy director (operations), reached the colliery and collaborated with Duncan in exercising overall control. During the afternoon, it was agreed at a meeting of representatives of all the parties concerned that it was unlikely that the three men who had not been found could be rescued but efforts to this end continued for a further 24 hours until 3.00 p.m. on 10th September. Of the 64 men in the Dysart Dip workings, all but two escaped. P. Thomson, a greaser on the Cable Belt Dook, was last seen at about 3.00 a.m. near the motor house at the top of the No. 1 Dook by J. Duncan, who worked in the New Pumphouse. His body was recovered from the Cable Belt Dook by a rescue brigade (Plan No. 3). J. McKay, a greaser, was with a number of men near the telephone when J. Drummond was speaking to Stirling. The smoke at that time was very thick and McKay was not seen again. J. Watson, R. Bernard and R. C. M. Fraser, deputies, were in the top roadhead of Dysart Dip No. 3 Section when they received a message from Stirling that all the men were to go out through the No. 3 Dook. Fraser went down the face where he met B. Moore, the overman, and travelled out along the bottom road with him. They met J. H. Drummond and checked with him that all the men further inbye had been warned. J. H. Drummond went on to the face keeping pace with the smoke and taking the workmen with him. Eventually all these officials and workmen travelled in smoke up the No. 3 Dook to the stairs at the top, where visibility was only about ten feet and several of them who were physically distressed had to be helped.